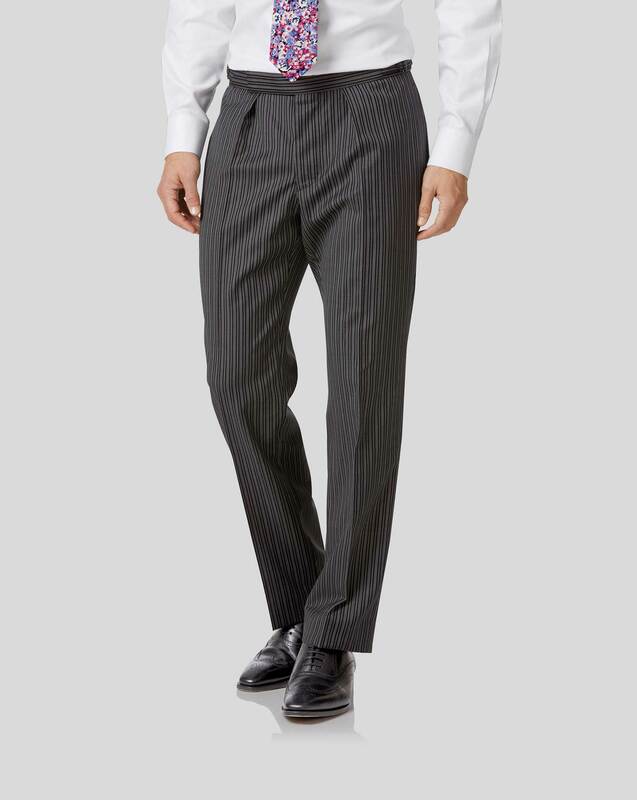 "Traditional pair of morning trousers tailored from 100% wool, to our classic fit with a single front pleat for a comfortable finish and elegant drape." They are a bit snug in the seat, nothing a good tailor can’t handle but suggest going a size up. Very good quality, great fit.